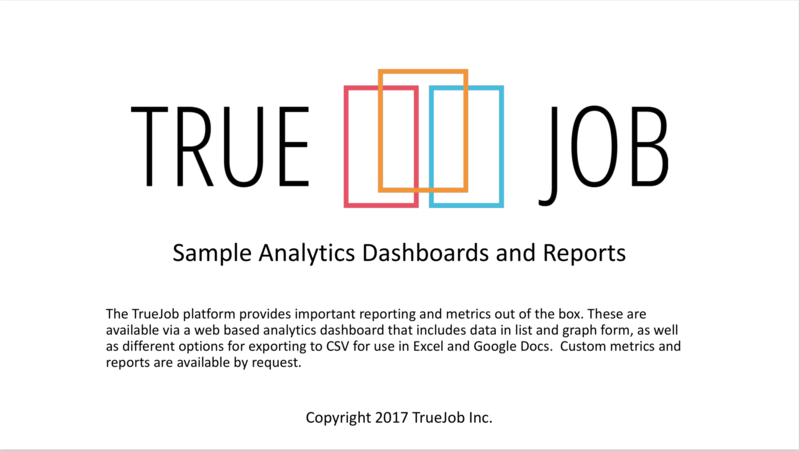 Want to know what metrics and analytics TrueJob can record for your organization? Download this document and see screenshots and descriptions of the key pieces of data we track via our platform. 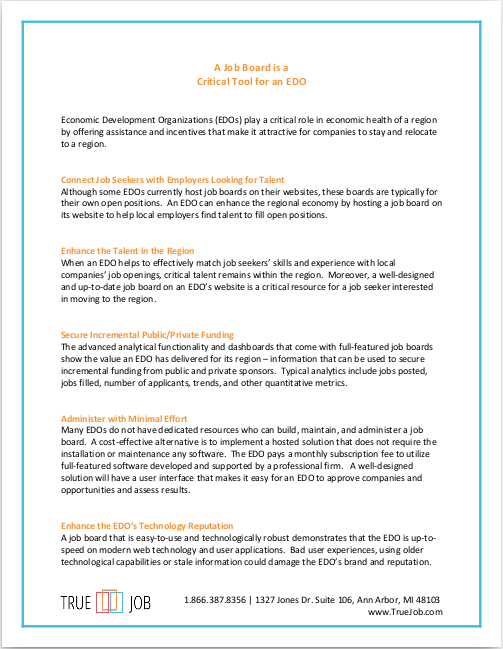 Read our concise overview of why a job board is a critical tool for EDOs and can translate into more sponsorships and funding for your EDO. 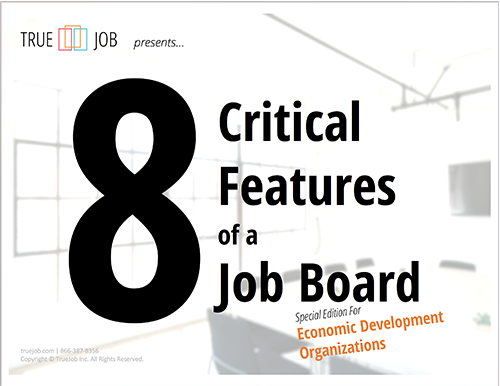 If you are looking to add a job board to economic development organization website, you'll want to have eight key requirements that are essential to making sure that job board is a success. TrueJob implements all these eight criteria into it's software, because it was built with edos in mind. 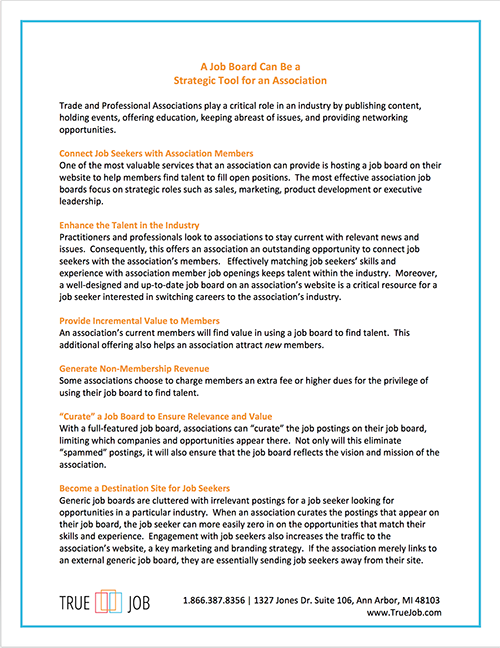 Download this document if you want a quick overview of these eight criteria and why they are important to the success of your job board. 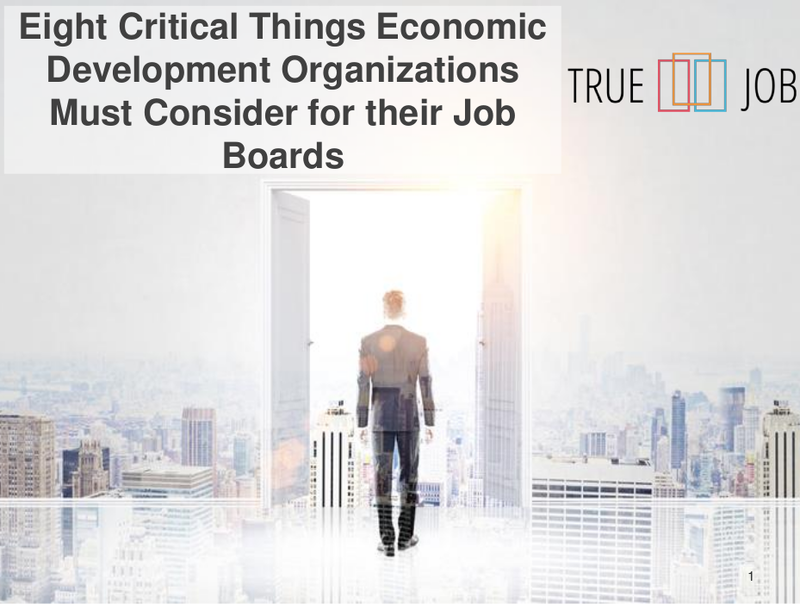 This eBook will help economic development organizations and their corporate clients better understand the needs of the various stakeholders so that they can properly select a job board that accounts for the needs of those stakeholders.